A loose and breezy striped blouse should be part of everyone's wardrobe. Perfect over a skirt, skinny jeans or leggings. Can be worn loose, belted, or open over a cami or tank. Casual and comfortable for any occasion. This blouse features a button-front, high-low styling, 3/4 length sleeves, front pockets and a shirred back. Cotton polyester blend for easy cleaning. Available in 3 colors and tag sizes from S-5XL. 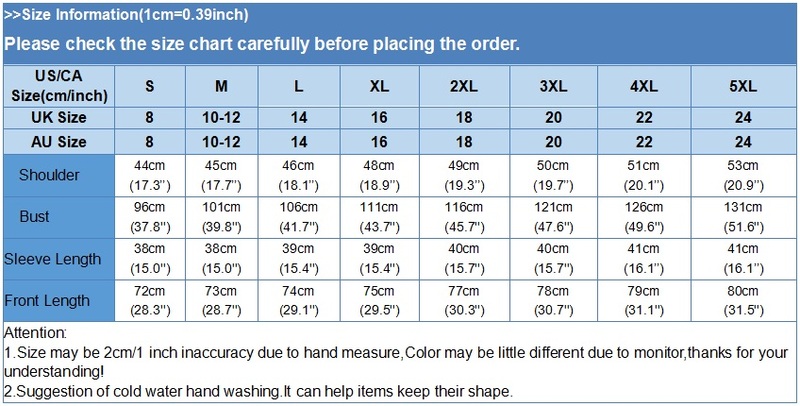 Please measure for size according to the chart below.